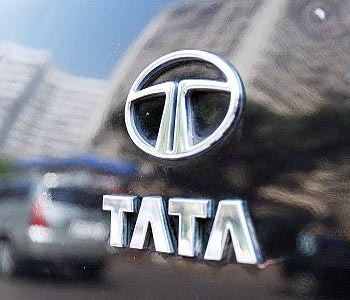 New Delhi [India], Apr 27 : Tata Motors have announced readiness of SCR (Selective Catalytic Reduction) and EGR (Exhaust Gas Recirculation) technologies for BSIV compliant engines, powering its range of commercial vehicles. EGR technology adopted by Tata Motors in 2010 will continue to power small-to-medium category of commercial vehicles with engine power requirements up to 180HP. EGR helps to reduce NOx emissions from the engine. Additionally, Tata Motors has adopted the globally proven SCR technology since 2014 for its Medium and Heavy-Duty Commercial vehicles ranging from 130HP to 400HP. Mumbai: The profitability of the struggling domestic unit of Tata Motors, especially that of its passenger car division, depends on the success of the newly launched sedan Zest and the forthcoming roll out Bolt, says global rating agency Moody's. "The profitability of Tata Motors' passenger car business depends on its ability to sell significant volumes of its new Zest and Bolt models," Moody's said in a statement. The company has Ba3 stable rating from the agency. New Delhi: Tata Motors Thursday reported an 8.46 percent decline in global sales to 80,151 units in July. The company had sold 87,566 units in the same month last year. In the passenger vehicles category, the global sales last month were at 49,001 units, as against 46,684 units in July 2013, up 4.96 percent, Tata Motors said in a statement. Sales of luxury brand Jaguar Land Rover rose 12.24 percent to 39,467 units in July, compared to 35,162 units in the same month last year. Mumbai /Chandigarh/ Noida, Aug 13 : In a bid to regain market shares and plug losses in its domestic business, Tata Motors began selling its new passenger car 'Zest' since yesterday, its first offering in four years. The Zest is a compact sedan built on a new platform and, in a departure from previous models, boasts user-friendly features such as touch screen control panels. Tata Motors has performed well this year thanks in part to strong sales of its luxury Jaguar and Land Rover vehicles. Mumbai - Shares of Tata Motors soared over 8 percent in morning trade on Tuesday after the company reported over 3-fold jump in consolidated net profit for the June quarter. The auto major's scrip jumped 8.18 percent to Rs 484.00 on the BSE. On the NSE, the stock climbed 7.93 percent to Rs 482. Tata Motors was the best performer among the blue-chips on both the Sensex and Nifty during the morning trade. Mumbai: The benchmark BSE Sensex on Tuesday spurted over 225 points in early trade, led by auto, infra and oil and gas stocks amid expectations of encouraging IIP data for June to be released later in the day. The 30-share index shot up by 225.27 points, or 0.88 per cent, to 25,744.51 with stocks of auto, realty, consumer durables, power and healthcare sectors leading the rally. The gauge had gained 190.10 points in the previous session. Similarly, the National Stock Exchange index Nifty edged higher by 65.50 points, or 0.85 percent, to 7,691.45. Mumbai: With expected turnaround of auto industry by the latter half of the financial year, Tata Motors on Thursday said it is investing Rs 3,500-Rs 4,000 crore this year. "Our capital expenditure plan for Tata Motors this year is Rs 3,500-Rs 4,000 crore and we will continue to invest for the next three-year period," Chairman Cyrus Mistry told shareholders at the annual general meeting (AGM) here. The company spent Rs 3,094 crore on capex, design and development of products in FY 2014. New Delhi: Tata Motors on Friday reported a 10.46 percent decline in global sales, including that of Jaguar Land Rover (JLR), to 75,623 units in June. The company had sold 84,458 units in the same month last year. In the passenger vehicles category, the global sales last month were at 44,239 units, as against 42,881 units in June 2013, up 3.16 percent, Tata Motors said in a statement. Sales of luxury brand Jaguar Land Rover rose 17.96 per cent to 36,021 units in June, compared to 30,536 units in the same month last year. New Delhi - Tata Motors is working on a strong pipeline of products for the domestic market keeping in view changing customer needs to make the company more profitable over the years, Chairman Cyrus P Mistry has said. In a letter to shareholders, Mistry said the company is also working on various other initiatives including enhancing customer experience to grow more profitable. "Tata Motors is working on a strong pipeline of new products and technologies keeping in view the changing market, customers' aspirations and regulatory needs," Mistry said. Mumbai, May 7 : Tata Motors has started a recruitment drive to hire over 3,000 staff across all company dealerships nationally ahead of the launch of compact sedan Zest and hatchback Bolt. "In line with our vision and strategy to provide an enriched purchase experience, we have undertaken a revamp expedition of showrooms and expansion of our dealership workforce to prepare for the launch of our exciting global cars, Zest and Bolt," Ranjit Yadav, president, passenger vehicles business unit, said in a statement Wednesday. Mumbai, April 10 : Automobile major Tata Motors Thursday launched a new variant of crossover multi-utility vehicle Aria priced at Rs9.95 lakh. "We at Tata Motors have imbibed an aggressive four-pronged customer-focused strategy in the all-new Aria, giving our ever-discerning customers a vehicle that is more powerful, more fun, more reliable and extremely safe," said Ankush Arora - senior vice president (commercial), passenger vehicle business unit, Tata Motors. Mumbai, Mar 1 : Automobile major Tata Motors Saturday reported a decline of 35.56 percent on its total sales including exports in February 2014. The automobile manufacturer managed to sell 39,951 units last months from an off-take of 61,998 units in the corresponding month of 2013. The company’s domestic sales including commercial and passenger vehicles in the month under review too decline. The off-take fell by 39.11 percent at 35,315 units from 58,002 units sales in January 2013. New Delhi, Feb 27 : India's largest automobile company Tata Motors is exploring the possibility of setting up a manufacturing plant for Jaguar and Land Rover in Saudi Arabia, the Gulf kingdom's industry minister said Thursday. The minister said the plant is proposed to be set up eastern province of Saudi Arabia.